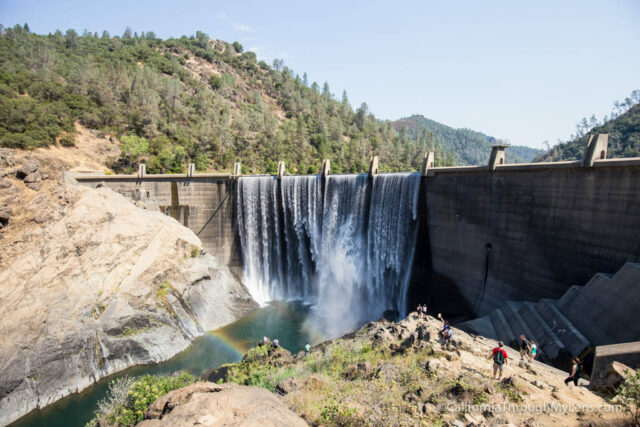 If you live in Northern California and use Instagram then you have no doubt seen people standing out on a small rock with a large man-made waterfall flowing off a dam behind them. 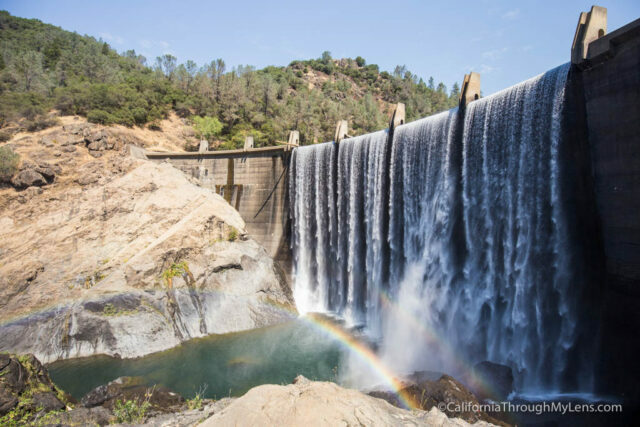 This spot is known as the Lake Clementine Dam, and while you can technically drive pretty close to it, it is much more fun to take the 4.5 mile round trip hike which also takes you under the tallest bridge in California, the Foresthill Bridge. Here is all the information so you can do it yourself. 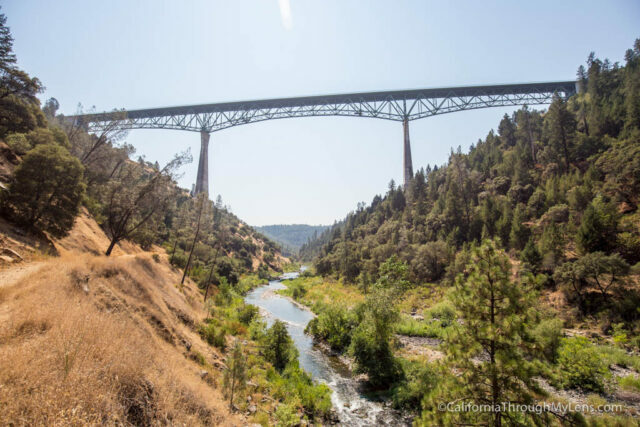 This trail starts from Auburn State Recreation Area which is right on the North Fork of the American River. 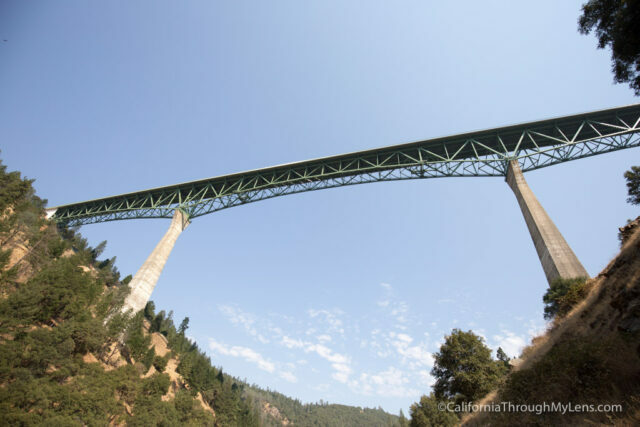 From Highway 80 you will get on the 49 / 193 then you will take the 193 all the way till it splits. One way goes to the city of “Cool”, and the other goes on Old Foresthill Road. 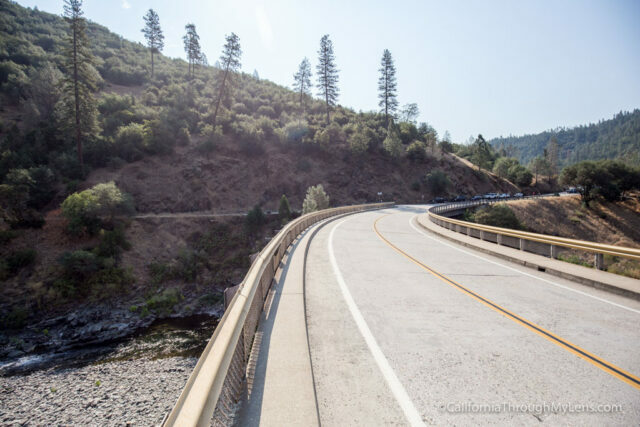 From here you will no doubt see cars on both sides of you, grab a spot when you can and pay your fee at the small ranger station. You can use the address above as well. 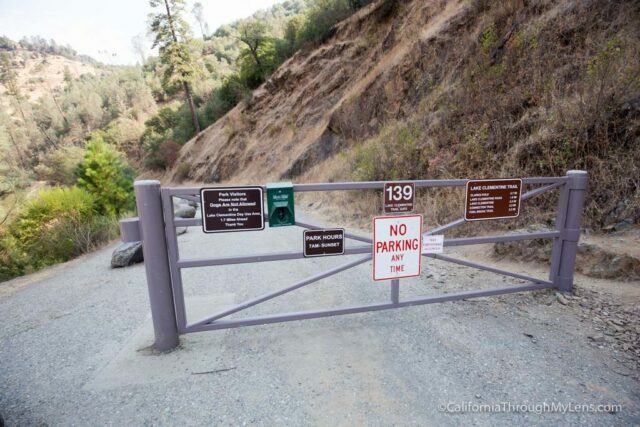 From the ranger station, you will be heading over the bridge across the American River and then walking left on the dirt road with a gate at the front. This path is what you will be taking for the next 2 miles. 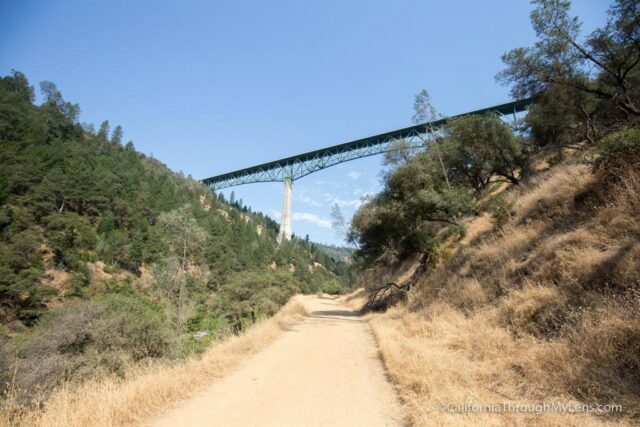 It is relatively unshaded in the beginning, but this is my favorite part as you are going along the river and walking towards the Foresthill Bridge. 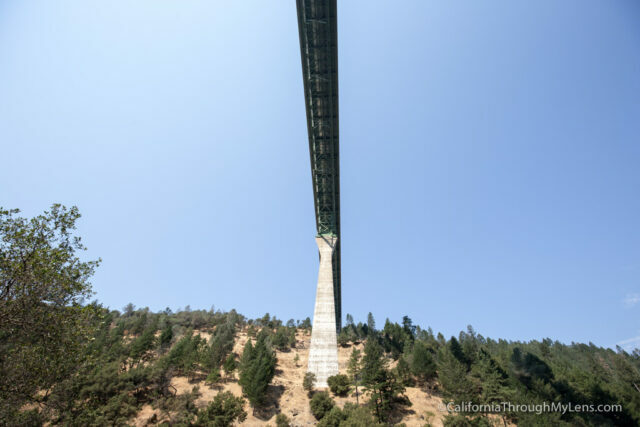 The bridge looms 700 feet above you, and this really helps to give you a feel for just how massive it truly is. I spent a lot of time just taking pictures and looking at the new angles as I walked the trail. 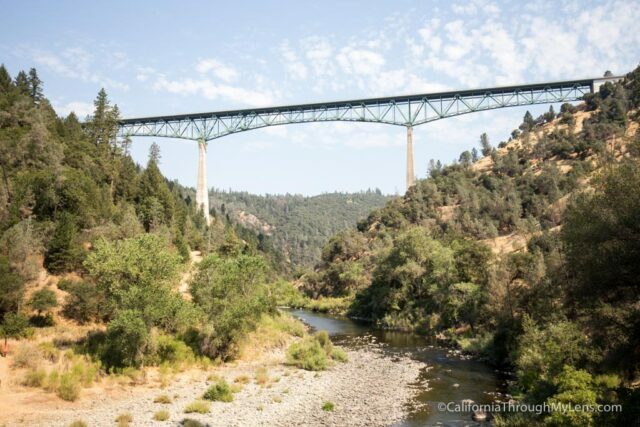 This section is also really popular for swimming, and when you pass under the Foresthill Bridge, you will probably see a lot of people in the water. 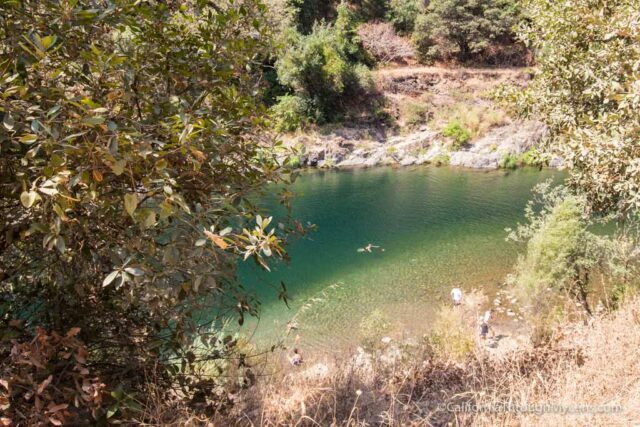 I didn’t get a chance to swim, but it looked amazing with the clear and peaceful water so I will certainly be back. At about the 1.25-mile mark the trail starts to head uphill for the next 3/4ths of a mile. The uphill is not too tough since it is well shaded and the sun is not beating down on you. Just take your time here and take in all the views. As you start to reach the end of the uphill part, you will catch a few glimpses of the dam to your left through the trees. 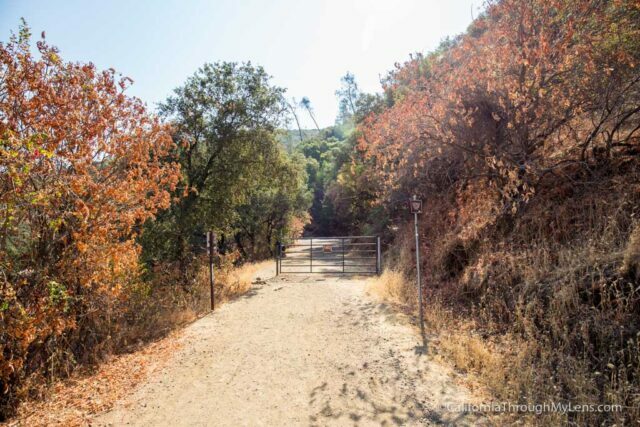 The trail then crosses another gate at the 2-mile mark, and you will start walking on the cement. 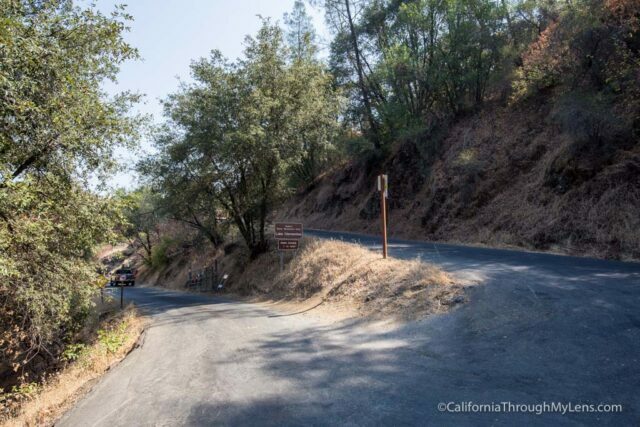 Head to the left with the signs that point to Lake Clementine and watch out for cars as this is a place where people can drive again. 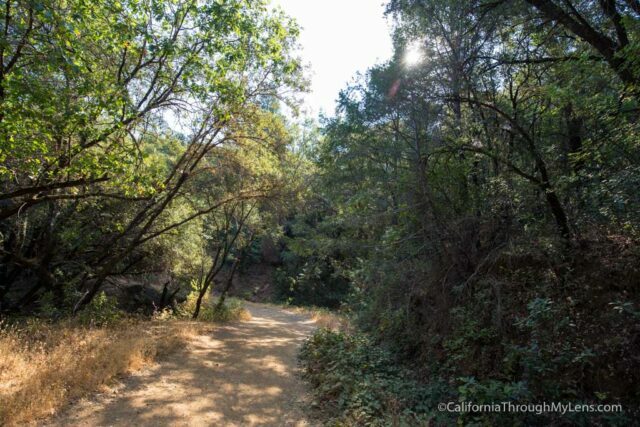 When you get to the bottom of this section you will see a small single track that heads down to the left, take this and make your way down to the dam. 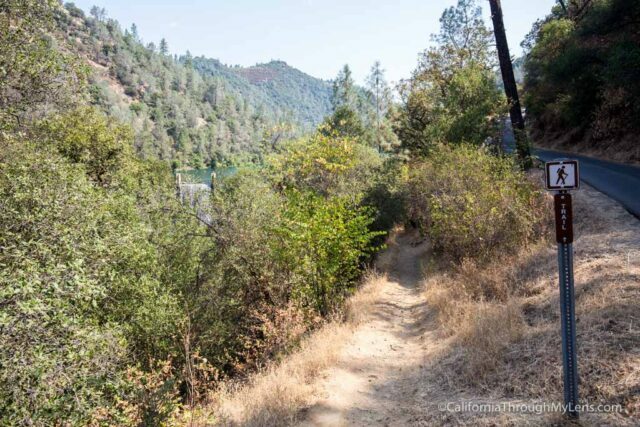 When you reach the end of the trail, you will be able to see the dam from above and Lake Clementine behind it. You can just turn around here or head down the scrambling portion to the dam itself. Of course, that is what I recommend as it is amazing to see the massive amount of water coming off of it and the rainbows it kicks up. 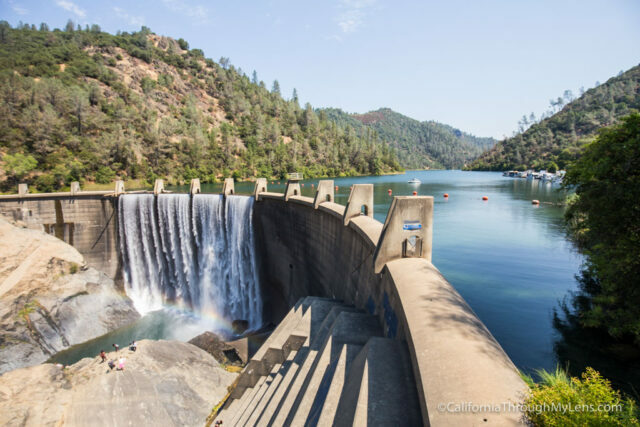 There are a lot of great picture opportunities of the dam as well, and this is a great spot to take a break and have a snack. 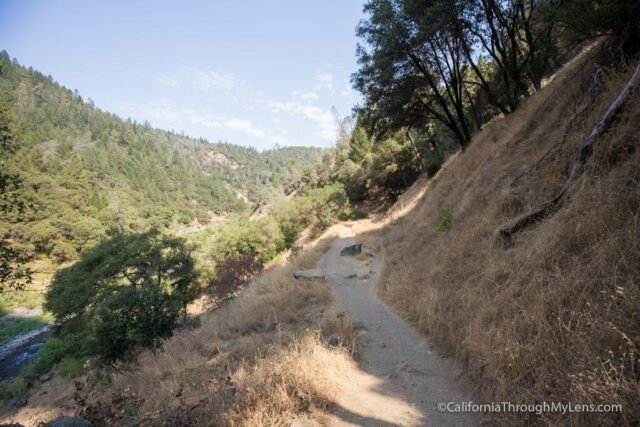 Once you are done, you will head back the way you came, which includes going up the steep paved portion then heading downhill the whole way back to your car. 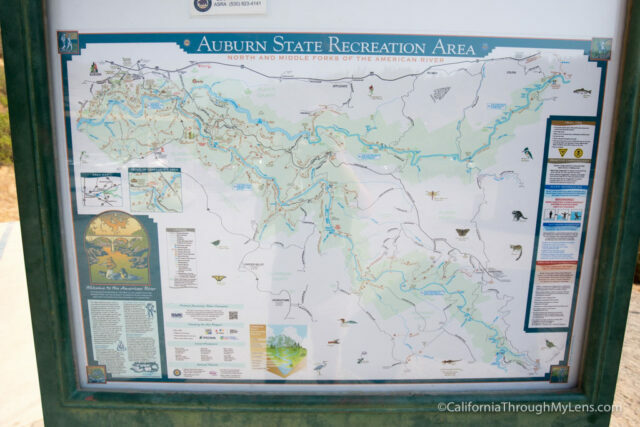 All in all, this is a fantastic hike in the Auburn area, one with tons of great photos opportunities. Be sure to add it to your list and let me know what you think in the comments.